Last week we heard how the parents have separated and are contemplating divorce. The children share how they feel about their parent's split. Last episode we heard the news that Majd the mother and Abdul Raoof the father have formally separated. The family's new life in Europe is not what they thought it would be and not all members have been finding it as easy to adapt. Manveen Rana finds out the reasons for the strain in the relationship. The Dhnie family's new life in Germany has had a tremendous impact on their relationships. When Manveen Rana caught up with them, she found they had some shocking news. 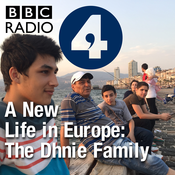 Manveen Rana documents the twists and turns of the Syrian family's journey from a refugee camp in Jordan to Frankfurt, in a series of reports for BBC Radio 4’s The World at One. 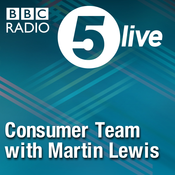 Lyt til A New Life in Europe: The Dhnie Family, 5 live Consumer Team with Martin Lewis og mange andre stationer fra hele verden med app'en radio.dk.